Description : myFeedz uses an innovative way to show you personalized news based on your reading habits. It learns from what you like and helps you keep up with your interests. 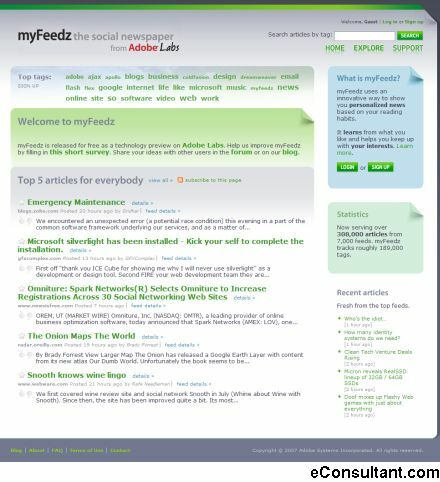 myFeedz constantly watches a number of feeds for new content and automatically tags new articles as they are published. Feeds are added in myFeedz by the users that add them to their profile or upload an OPML file. AdobeLab Project.